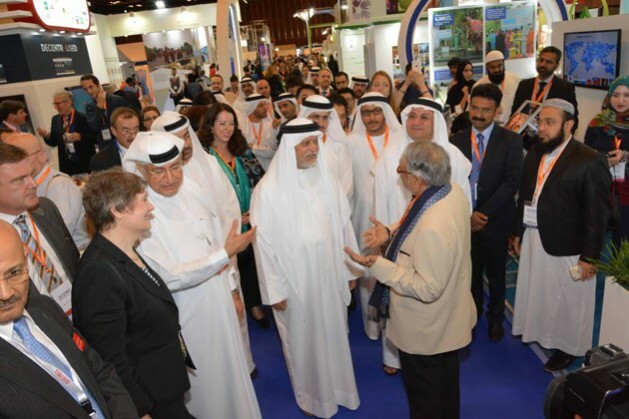 DUBAI, Mar 21 2016 (IPS) - The Dubai International Humanitarian Aid and Development Conference and Exhibition (DIHAD) opened today with key speakers emphasizing the urgency to discuss innovative solutions to be applied in humanitarian operations. Under the patronage of HH Sheikh Mohammed Bin Rashid Al Maktoum, Vice-President, Prime Minister of United Arab Emirates, Ruler of Dubai, the 13th edition of DIHAD was inaugurated by HE Mr. Ibrahim Bumelha, Cultural and Humanitarian Advisor of HH Sheikh Mohammed Bin Rashid Al Maktoum, and Chairman of DIHAD Higher Committee, President of DISAB, on behalf of UN Messenger of Peace and Chairperson of International Humanitarian City HRH Princess Haya Bint Al Hussein, wife of HH Sheikh Mohammed Bin Rashid Al Maktoum, Vice-President and Prime Minister of the UAE and Ruler of Dubai. DIHAD is organized by INDEX Conferences and Exhibitions – member of INDEX Holding and supported by Mohammed Bin Rashid Al Maktoum Humanitarian and Charity Est, the United Nations, the UAE Red Crescent Authority, Organization of Islamic Cooperation, International Humanitarian City, the General Directorate of Residency and Foreigners Affairs – Dubai and Dubai Cares. DIHAD 2016 is also sponsored by Al Khair Foundation & IQRA TV.